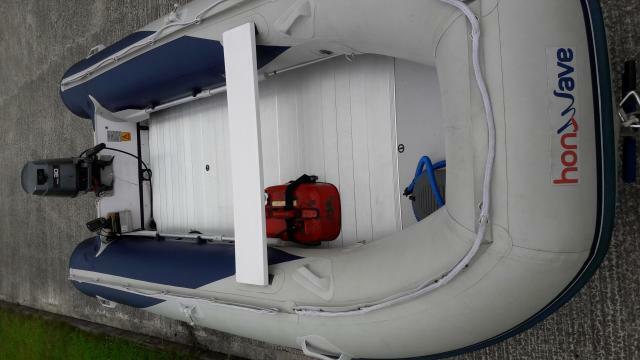 Additional information 4.3m honwave inflatable boat with large tubes. Boat is in super condition. No patches on tubes. Has aluminium floor. 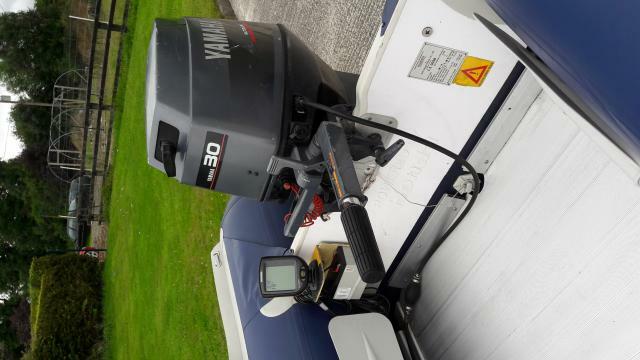 Boat can be folded for storage.Yamaha 30hp 2stroke engine. Boat is like new used very little as I have a bigger boat. Hummingbird fish finder/depth gauge included . Engine runs like a dream . 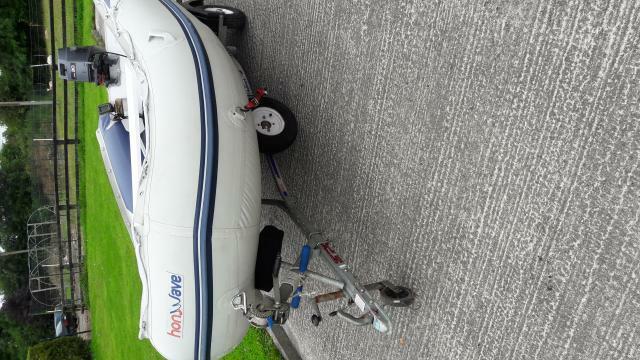 Trailer is in mint condition, light and easy to launch. Usuals included paddles,pump., seat cover.